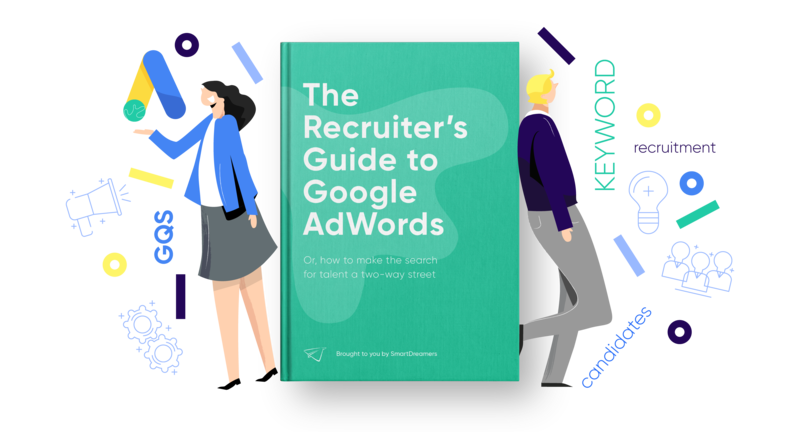 Of all the platforms that are currently available for recruitment marketing, Google AdWords can often seem like the most complicated. Setting up a campaign involves lots of keyword research and a whole host of minute details that have to be managed very carefully. After all that, the business of tracking your campaign presents further challenges, and arriving at a measurable ROI can sometimes seem like a herculean task. Luckily, we’re here to help! If you’re having trouble measuring your AdWords campaign, or just need a little help getting yourself oriented, considering these five tips should do the trick. Right off the bat, there is one thing every business that utilizes AdWords should be doing: implementing Google conversion tracking on their relevant landing pages. Essentially, by adding a few lines of code to the page on your website that signifies a conversion (e.g. the "thank you" message that pops up after a job application has been submitted or after a content offer has been downloaded, depending on whether you’re targeting active or passive job candidates), you can give Google the information it needs to track which ads are actually leading to conversions. In this way, whenever someone applies for a job with your company, you can easily see which of your ads that traffic came from. Not only does this functionality help you to measure the conversion rate of each ad and each click, it can help you to assess the state of your talent pipeline more broadly by pointing you towards potential gaps in your existing funnel. Okay, let’s backtrack a second. We doled out the advice above as if it were a one-size-fits-all strategy. And the reason it’s the first thing on this list is that it really is one-size-fits all. We can’t really imagine a situation where conversion tracking doesn’t play a crucial role in tracking AdWords results. As far as universal solutions go, that’s one of the few. On most matters, the way that you track your AdWords usage is going to be something that you define on your own terms as a business. Is the goal of your recruitment marketing campaign to drive web traffic in order to spread your employer brand, or is it to fill specific positions quickly? Are you trying to reach a large segment of the population, or is it a more niche group that’s being targeted? Answers to these questions and others will help you figure out what metrics you should be tracking to determine the effectiveness of a given campaign. If you’re targeting a small set of the population for a specialized job post, you might put a lot of emphasis on your clickthrough rate (i.e. the number of clicks per impressions) because impressions themselves are going to be hard to come by. Conversely, if your goal is to position your company as an employer of choice for your industry, you might be interested in your average position within the sponsored search results (since you don’t want to be seen as playing second fiddle to your competitors). Once you’ve determined a set of KPIs that will help you align your advertising campaigns with your talent acquisition goals, you’re ready to get a little deeper into the weeds. Because Google’s platform is so heavily based on keywords, choosing the right search terms is a big part of success on the platform. Most businesses don’t get it right on the first try. Rather, it’s a matter of trial and error. Instead of approaching this trial and error period haphazardly, break your metrics down by keywords. Which searches are producing the results that you want, and which are yielding poorer results. Once you determine which keywords are helping you to meet your goals, you can swap out the underperforming keywords for new ones that might be more effective, or you can simply focus more of your resources on the keywords that are actually yielding results. If you’re willing to go one level deeper, you can also think of these keywords in terms of your employee personas more broadly. If a search term isn’t performing well, that may mean that it’s not as important to your candidate personas as you believed. Over time, you can adjust your messaging and EVP in order to reflect what you learn about your candidate personas in this way. Though an effectively placed bid is important for getting Google to display your ad to the right people, your Google Quality Score (which measures the relevance of your content to your audience and its performance over time) is just as important. Critically, it’s something that you can work to optimize even when your budget can’t be stretched any further. From the moment you create the actual text of your ad (and of the landing page or pages that the ad links to), Google will factor its Quality Score into its decision about whether or not to place your content in front of search users. By tracking that number for each ad as you manage your campaigns, you can more effectively maximize your impressions, thereby optimizing your ad budget dollars. If you find that a particular ad has a low quality score, you can adjust the text of both the ad and the ad’s landing page to be more relevant, or replace it with a different ad that might play more nicely with Google’s algorithm. The first piece of advice on this list was meant to be one-size-fits-all, and the last tip will be very much the same. Whatever strategy you adopt and whatever metrics you’re tracking, keep tracking them! Plenty of businesses will create an AdWords campaign and then ignore it, potentially wasting their ad dollars on content that reaches the wrong audience or fails to support recruitment goals. Don’t let this be you. We know that Google’s interface for managing these campaigns and their associated metrics can seem confusing, but we can’t even begin to overstate the measurable ROI of measuring your ROI. If you keep tabs on these ads, you’ll make sure that you’re not wasting money, thereby making your recruitment marketing efforts simultaneously more efficient and less susceptible to mismanagement.